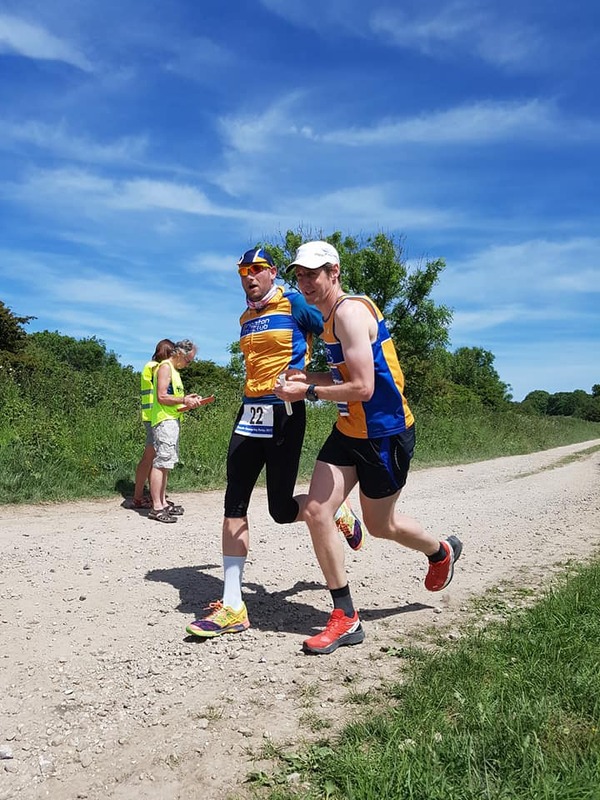 This last weekend just gone was taken up with the amazing South Downs Way Relay - teams of six runners covering the whole 100 miles from Eastbourne to Winchester. It's one of the most prestigious and special events here in the South. Entry is by invitation only and there's a rich folk lore of past teams' glories, tales of daring dos and a few mishaps all of its own. Each team member runs three legs - effectively racing three times in the same day. The legs are between 4 to 8 miles. And there's around 3.5km ascent in total, over some of the most brutal of hills. The days when I might have made it into a team sadly are long gone - there's a cut off time to keep within and the event is super competitive amongst the South's running clubs. Brighton Tri Club is in there, entering a team in each of the four years since we formed as a club. However, one way to still be involved is as the driver, transporting the team from one leg to the next through the beautiful Sussex and Hampshire countryside. Another way, I guess, is as Team Manager, though I didn't fancy the pressure of team selection and finding reserves when people inevitably drop out at the last minute. So hats off to Sally P for taking on this unenviable role! It has to be said the driving has its own moments - lots of twisting narrow country lanes to navigate to get to the hand over point before our runner comes flying through to hand the baton on to the next. Having been the driver twice before I know the secret is to be super sure of the route and to have a selection of calming music to play as we hurtle along (see play list at the bottom of this post). I won't go through even the highlights of each of the eighteen legs covered! One stand out feature for me, though, which has stuck in my mind is the extraordinary determination and drive in just about every runner, from every club and in every one of their legs. 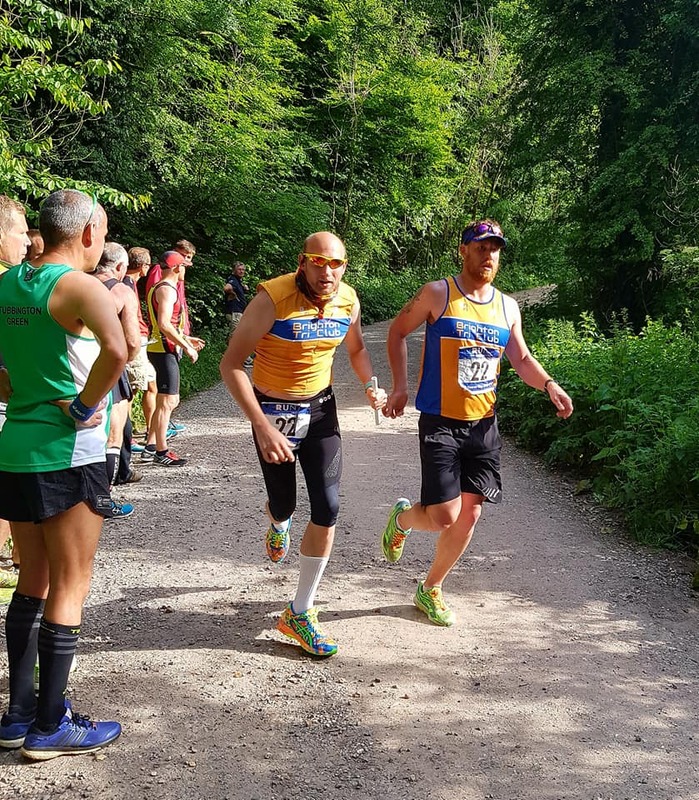 You could see this at each of the hand over points as runners came storming in, giving every last bit of effort to hand the baton on, despite knowing that it wouldn't be long before they would be back running on the trail, giving it their all in their next leg. I've been reading and also doing some writing about flow (drawing on Mihaly Csikszentmihalyi's classic) and about being present in the moment. To see each runner keep that kind of single-minded focus, even as they battled against the accumulated fatigue and no-doubt felt very far from flowing, was really inspiring. I'm hoping I can carry some of this focus and effort into this coming weekend when I embark on my first ever SwimRun event in Lake Windemere. Friend and fellow Bri Tri member Rachel and I are doing the medium distance SwimRun on the Saturday and then (for reasons I thought were good at the time of entering but now I'm not so sure) I'm doing the 5km swim next day. Race report coming soon after. For now though - how brilliant to be able to help a really great team of Manager Super Sally, the two Davids, Tanya, Gilles, Paul and Markus. Well done all of you.